I didn't actually have and enamel teapot obsession prior to starting Queen B, but there is something about pouring thousands of candles from a trusty, faithful teapot that causes you to fall in love. The teapot becomes an extension of your hand. Our master candlemaker of the past 2 years has said to me that he would like to be buried with his enamel teapot!... and that was BEFORE he even saw these beauties. 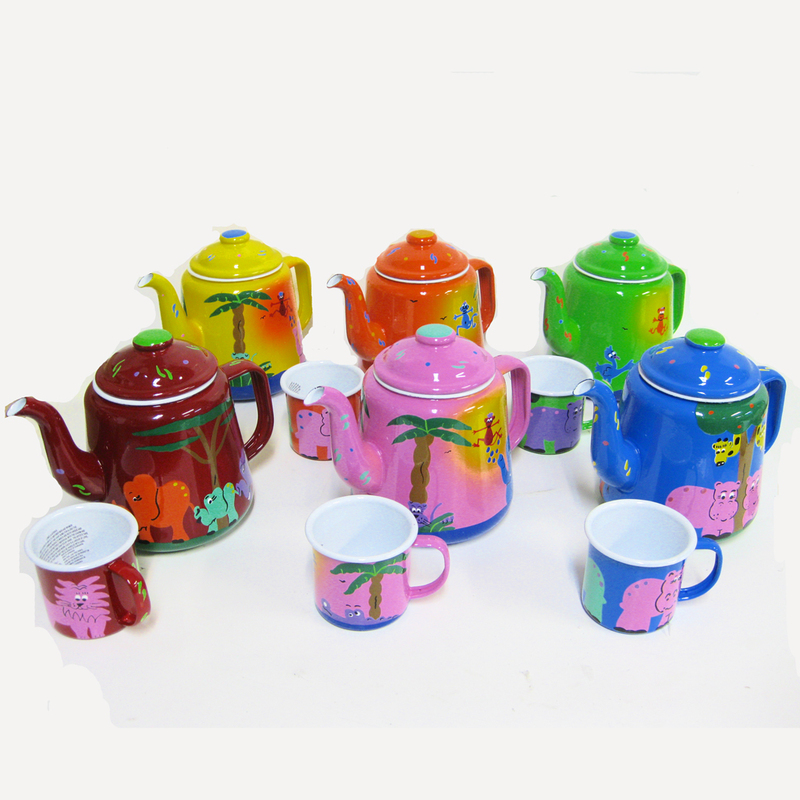 If you're tea obsessed, an enamelware afficionado or simply looking for a beautiful, individual, hand-painted enamel teapot - these teapots are divine. Same goes for the mugs. This entry was posted in Beeswax Candles & Candle Making and tagged new product, hand-painted, fair trade, enamel teapot on August 31, 2011 by queenbcandles.